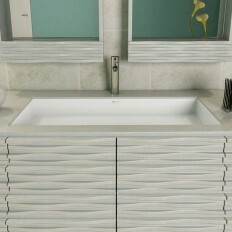 The Solid Surface Sink Collection provides the perfect solution for any bathroom in need of a modern overhaul. This collection is comprised of 3 unique ADA compliant wall-mount consoles, and a large undermount lavatory with overflow, available in 3 sizes. 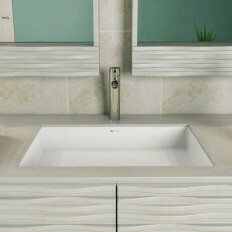 Solid Surface is non-porous, making cleaning and maintenance a breeze.